Bramblewood 1870-1890, 31521-12 by Betsy Chutchian for moda fabrics. 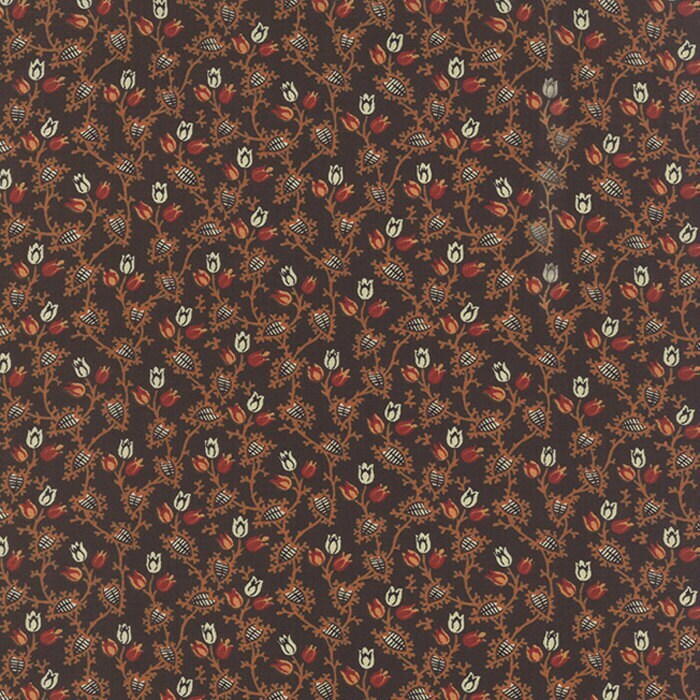 Bramblewood is a civil war reproduction line...inspired by prints found in the late 1800's...this line mixes pumpkin, vanilla, midnight black, and rusty red. Perfect for autumn projects or mix in with your civil war stash.